" Dedicated to the concept of quality engineering sales and service of mechanical and electrical power transmission products since 1959! " Welcome to MPT Drives, Inc.
At MPT Drives, Inc., it is our policy to provide unique customer service, in that our experienced and knowledgeable staff can solve customer problems in a timely manner. We can do this because we are partners with both our suppliers and customers. We work as a team to promote our suppliers' quality products to meet our customers' needs. It is our goal to develop a lasting trust with our customers and to help them grow as we grow. We intend to do this and make a fair profit, to enrich the lives of our employees and their families. 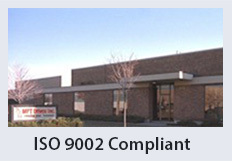 The entire MPT Drives team will adhere to the spirit and intent of this firm's quality policy, as well as the directives of our quality assurance manual and its supporting quality system documentation. We will continue to aggressively strive to ensure that our success is a satisfied customer. ALSO NEW! USEM HVAC Motors! 24 Hour Service Available ! Copyright © 2018 MPT Drives, Inc.